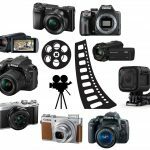 For those looking to start their photography endeavors with a solid digital camera that’ll serve them well not only for the time being but the future as well, you’ve come to the right place. 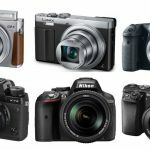 Today we wanted to find the best digital camera for beginners and starters for you depending on your specific needs, so we gathered quite a few of our favorite models we’ve come across in the recent years to get your gears going. 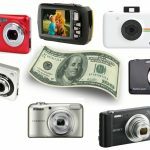 We first however will have to take a few factors into consideration to help you sift through the different digital camera price-points, camera styles, shapes, sizes and personalities, since giving an exact “best” answer wouldn’t be right in our opinion. Let’s start checking off that needs list. Your budget – To begin, we’ll always have to keep in money into consideration. 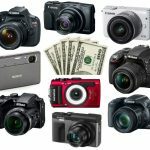 For beginner digital cameras, we won’t get too crazy on features and prices that tend to increase with advanced specs and what not, so you’ll be looking at a decent range plus or minus a few hundred bucks. A digital camera under $300 plus or minus a few hundred bucks, or at least around that price-range is our recommendation for most beginners. Don’t get us wrong — there are some more expensive cameras out there that might catch your eye, and may even be worth the money if you’re really serious about photography and want to give yourself a big learning curve for the future (we’ll list a few of those as well). DSLR: As the most popular type of digital camera in the market right now, we’ve listed this first for many reasons. Although they’re a bit up there in price (at least as compared to old-school, traditional digital cameras), the benefits are enormous — not only high quality pictures (and videos) that make your photos stand out, but also interchangeable lenses, lighting versatility, easy-of-use, tons of support out there for starters, jam-packed features for sharing and filtering, and more. The reason they’re more expensive than others out there is because of the advanced internal build (the introduction of an image sensor used to capture the image data and send to the processor), which in result gives us a professional feel to our photos (as opposed to those smart device pictures everybody is used to nowadays). Mirrorless: Almost as popular now as DSLRs, these are a little smaller in size and have a different internal build with amazing quality (an image sensor but no mirror inside which speeds up the image process as well as less bulkier). They too have interchangeable lenses to give you some customization after you get going on your photography adventures, and they’re also known for their sharp autofocus (a lot better than DSLRs so that may steer you this way). The quality is stunning and highly recommended by us if you have a few more dollars to spend as opposed to DSLRs (they have a great help outlet online as well); however, either way you go , a DSLR or mirrorless brings you into the advanced photography game for many years. Their recommended uses also stem very widely, giving us a lot of versatility with different applications (both work for any use aside from weather or extreme lighting, and we recommend mirrorless over DSLR if you’ll be shooting fast-paced objects because of its autofocus). 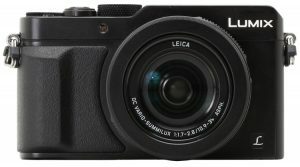 Point-and-Shoot: If the previous two popular heavy-hitters in the digital camera game weren’t working for you (perhaps due to price or size), cue the still popular, more traditional “digital camera” right here. 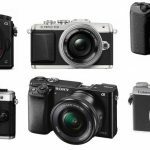 Also known as compact cameras, they’re recommended by use for those who want to save some money or are planning on traveling and being on-the-go frequently throughout their foreseen camera adventures. They don’t have an advanced internal build like DSLRs or mirrorless (instead have automatic systems for easier use), have focus free lenses (most of them), built-in flashes, video (some up to 4K), and even come with super-zoom (up to 60x) if you’re concerned with that. We’ll list a few below to give you some options, and recommend grabbing one of these for size and price concerns; otherwise, stick with the previous two. Camera features – There’s going to be some camera “specs” thrown around in our round-ups of our top picks, such as megapixels and image processors, but there are also “extra” features we’ll highlight to help you make your decision based on if these catch your eye. Some may be worth it for you and make you say “yes, this is it!” — such as camera filters, different shooting modes, video capability, Wi-Fi sharing, touch screen LCD, advanced autofocus, and more. For us, these all have a time and a place, however we know different types of photographers who need these while others don’t waste their time (or money, perhaps). Additional gear – For those starting out, it may be wise to try to find a “camera bundle” (a package online that comes with not only the camera, but external gear as well for a discounted price) — if we do find a few bundles worth checking out, we’ll link you there. Otherwise, as our last factor for picking the best digital camera for beginners, we want you to keep in mind not only for budget purposes but for when you actually want to start using your camera that there may be a few other pieces of camera gear you’ll need before doing so. We’re talking photo software, tripods, lenses (if you grab an interchangeable camera, that is), flashes, external microphones (for videos), camera bags or cases, and more. Joining the world of digital cameras can be overwhelming, and in our opinion for those who are just starting out, simplicity combined with quality is key. 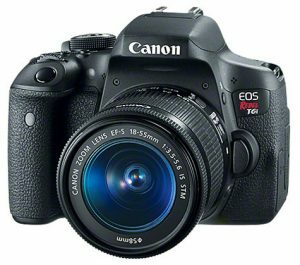 Enter the Canon EOS Rebel T6, a digital camera we feel is one of the best for beginners. With 18.0 Megapixels and a DIGIC 4+ Image Processor, this camera offers high-resolution images with clarity in color, even in those difficult low light situations. The Basic+ function mode is designed to enhance your photograph based on the specificity of what you are capturing, ideal for those just beginning to discover their individuality in their photos. In addition, the ‘Scene Intelligent Auto Mode’ adds to its ease of use by automatically adjusting the exposure for high-resolution pictures, even accounting for facial recognition and the movement of the subject in the frame. The Full HD 1080p movie function is always a plus even if you weren’t planning on filming videos right off the bat. The extra filter settings also let you be creative in how your photographs are captured through multiple means, such as fish-eye, soft focus, grainy black-and-white, and more. Complete with WiFi for easy uploading, the Rebel T6 checks off many needs on our list to be constituted as one of the best digital cameras for beginners, not to mention that the awesome image quality you’ll be getting. 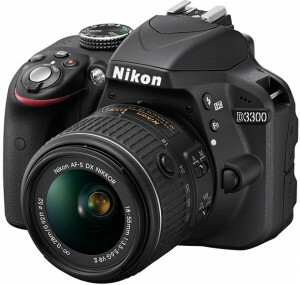 While the Nikon D3300 is considered a best starter digital camera, it comes with features that the techies of the world will appreciate as well. Prepared with 24.2 Megapixels and a 1080p Full HD recording camera, the resolution lets you see everything with precise and focused clarity, both in that shot you are trying to capture or those recordings that give you a full play-by-play of the action. The eleven points included in the autofocus isn’t necessarily mirrorless quality but it allows you to focus intently on your subject with little effort from on the photographer’s end just fine. In addition, you can personally design your shots to match your creativity with a wide range of color options. However, one of the best features has to be that you can edit your shots directly from the camera, and with WiFi included it can all link directly to any device compatible with the software, easily making it a digital camera any beginner would covet. 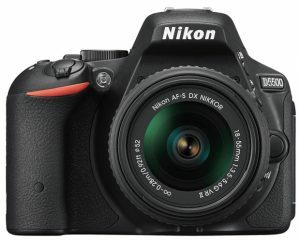 This was also listed in our best DSLR for beginners guide — it’s essentially the same price-point as our previous T6 pick, so if you were concerned with price and needed to choose between the two, we’d check online first and grab whichever is listed cheapest at the moment since they fluctuate daily. Now that we’ve highlighted two of the best DSLRs for starters, let’s start getting into our start mirrorless camera picks. 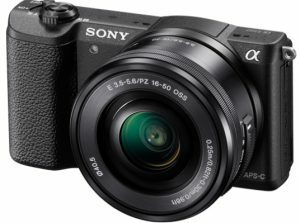 The Sony a5100 gives that professional grade photo with a minimalist approach, helping the user capture the perfect shot. Able to focus on its subject in less than 0.07 seconds through a phase and contrast detection system (we told you! ), the various modes in the Hybrid AF system gives a refined focus to your photos. The Auto Object Framing is another feature designed to make this the best digital camera for beginners, pinpointing the objects in the frame and creating a composition with artistic creativity. Accompanied by the touch screen LCD, you are able to focus and edit directly on your camera before uploading them to your device over the WiFi connection. It made it first into our best beginners mirrorless camera article — exceptional image quality, insane AF system, smaller and portable in design, able to connect with WiFi, and can also record full HD videos? All things that are necessary to those that are just beginning to learn the world of digital cameras. For the beginning photographer looking to bring their personality to their photos while also needing a little extra help, the Panasonic Lumix DMC-ZS50 may just be the best digital camera to start your journey. Starting off our point-and-shoots appearance, the camera comes equipped with 100fps of high-speed video, and with the included feature of ‘Time-Lapse recording’ you can compress your longer videos into condensed clips for time and convenience. A control ring gives you a decisive hand in the overall look and quality of your photos, from the focus and exposure of the shot to using precision in a 3cm macro shooting design with the zoom feature. Also, the ‘Optical Image Stabilizer’ and Level helps those who are just beginning to avoid the annoyance of blurred images through shot sensing technology, which automatically shifts the focus of the camera when it senses it is off-balance in regards to the subject. This camera helps the newer photographer take expert photos with beginner knowledge in a compact size, not to mention coming in nearly half the price as DSLRs and mirrorless cameras. 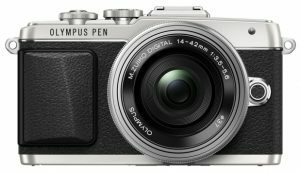 High tech features housed within a classic design, the Olympus E-PL7 provides a vintage feel for digital camera beginners if your budget allows. Built with WiFi capability for instant uploading and sharing, this 16 megapixel digital camera has eighty-one points of autofocus to include every subject within your frame with a high-speed shutter that gets 8 fps and makes sure you don’t miss any moment you are looking to capture. Plus, with tracking and Focus Peaking the camera is the perfect assistant in zeroing in on any movement in your frame and giving your shots a new level of accuracy. Add in image stabilization and you’ll never have the problem of an out-of-focus shot. 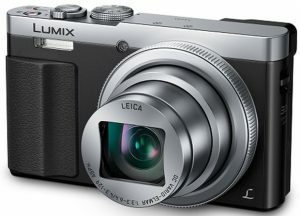 However, it is the creative feature that really make this one of the best digital cameras for beginners. Ranging from story layouts, filters, and effects, as well as a tilting monitor ideal to getting the ultimate selfie, and you have a camera built for amateurs and professionals alike to give yourself not only a solid foundation but learning curve for the future as well. The price on this one won’t stay congruent with our beginners theme right now. However, to give you another option at something that will be “for the future”, let’s keep this one in mind just in case. 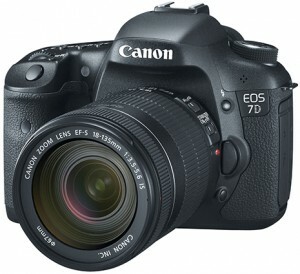 A rugged-feeling camera with a high-tech operating system with mammoth CMOS sensor, the Canon EOS 7D is the camera that appears daunting in its features but is actually considered one of the best digital cameras for those who are just starting out for a few reasons. This camera allows for high-resolution photos with precise clarity on every shot, capturing every detail at a fast rate speed (8fps to be exact). Known for its high-quality in low-light situations and an ‘Intelligent Viewfinder’ that offers full coverage of every object in your frame, the 19 points of autofocus captures every component of your photo or video. Additionally, the autofocus gives you the personal preference of choosing between six different forms of displaying your videos, and even contains a tilting screen that lets you level out any shots that may be tilting at an odd angle. With a weather resistant frame meant to be with you on-the-go, beginners and seasoned veterans alike will appreciate the quality provided by this camera. Searching for an artistic look but still becoming familiar in the world of digital cameras? The Nikon D5500 is the best beginners digital camera for just such a purpose. As the slightly older brother of our previous D3300 pick, this highly reviewed and well-priced camera is equipped with sixteen various ‘Scene Modes’ to personalize your work, as well as lighting and background adjustment courtesy of the seven different ‘Picture Control’ features. Movement is easy to capture on film with high clarity and shutter speeds that move between 4 to 30 seconds, not to mention the nine different cross-type sensors that help to ensure everything is visible in your frame. Plus, with ‘Scene Recognition’ technology this camera will automatically adjust your focus, brightness, and flash for clear and balance resolution in your videos or photos until you learn how to do so manually. Add that it is pretty portable (for a DSLR, at least) and is WiFi capable and you have one of the best digital cameras for beginners. Yes, this is another one of the pricier cameras that is featured on this list. However, the Panasonic Lumix DMC- LX100 is a hybrid photo-and-video camera that can make amateur photographers feel like professionals. 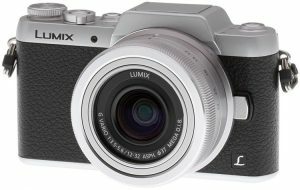 As one of the best starter digital cameras, the Lumix seeks to make the user feel in control of the personality and flair expressed in their shots through manual control of the exposure, focus, zoom, and other features. Auto focus takes 0.14 seconds to detect and assess the subject of the photo, making sure that even action shots get the precision and clarity you expect in your photos. 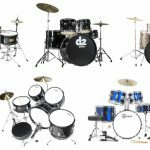 Plus, the software comes with twenty-two various filters, ranging from the classic black-and-white to newer accessories like the star filter. Add in that it is WiFi compatible and syncs to your devices with a simple touch and this camera shoots to the top of the list as the high-tech but simplistic digital camera for all beginners. This one is worth the money if you have it, especially if you wanted a step up from all of the other lower-priced cameras in here. The Panasonic GF7 is a camera that has an old school look with highly modern features, making it the best digital camera for beginners who are seeking a high-tech challenge. With an upgraded sensor, a tilting LCD monitor, and face and body shutter options, all photos ranging from selfies to group shots are captured with precise clarity, never losing a detail in the frame. Plus, just to make sure everyone is pleased with how they look (because that truly is a struggle), three different beauty modes are included to help soften features, improve skin tone, and highlight the subject. Additionally, for those looking to make a presence on their social media, Snap Movie mode lets you record and make clips ranging from two to eight seconds that can easily be uploaded instantly to your devices to keep everyone up-to-date. Add in some background music to those videos to accompany your beauty-mode photos and you’ll find that this is the best digital camera for starters. The look alone may steer you this way, but keep in mind those few little features that are a lot more rare in other cameras nowadays that may be perfect your own needs. Waiting isn’t always a game that many are willing to play, and if you are just starting out in the world of digital cameras why should you? Enter in the Polaroid Snap, a high quality for the price camera that offers an old-school Polaroid feel for a high-tech digital world. Listed as an “instant camera”, we felt we’d include this one last just in case — it isn’t by any means a DSLR, mirrorless or even point-and-shoot. Available in four different colors, this 10 megapixel camera prints your pictures automatically, but still provides you with the option of using a MicroSD card to digitally save them as well. There are three different modes to shoot your pictures in (normal, black and white, and sepia), and with photo booth mode you can to take up to six pictures in under ten second (however, a self-timer is also included if you are looking to get a group shot and need the time to properly arrange the frame). 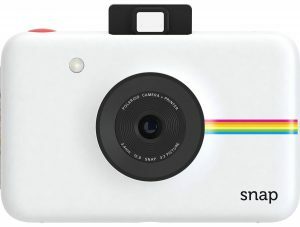 Colorful and quick, the Polaroid Snap is the best beginners digital camera who are looking for a hassle-free way to capture everyday moments for a super affordable price.